Another natural deodorant cream has passed my stink test. And what’s interesting about this particular deodorant cream from Honestly pHresh is that its (more convenient) stick alternative failed with flying colors. Just goes to show that you’ve got to test, test, test before writing off an entire brand. Formulations are funny. And for me, baking soda is a must to ward off stink. 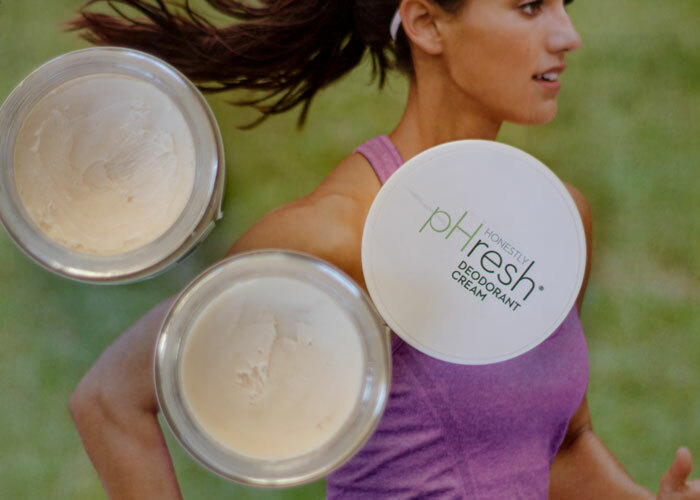 Available in five scents plus an unscented version, Honestly pHresh’s Deodorant Cream is made with moisturizing shea butter, coconut oil, cacao butter, rosehip seed oil and vitamin E to provide a soft, creamy paste that massages evenly into your underarms. Because the base contains coconut oil, you can expect Honestly pHresh’s Deodorant Cream to harden up in cooler temperatures (think air conditioning or winter); you’re going to have to heat it with your hands to soften it back up, or even nuke it for 5 seconds to soften. When you can pass all three and the dreaded office test, you know you have a winner! At $12.99 a pop, Honestly pHresh’s Deodorant Creams’ pricing is on par with many of my other approved natural deodorants. I like the scent options available, and appreciate the pretty, yet minimal, design and packaging. Definitely a repurchase and recommendation! Have you had deodorants from the same line work differently for you? Do you need to have baking soda in your natural deodorant to control stink? Tell me what you know in the comments section!